L'actualité brulante du Metal traditionnel et de tout ce qui gravite autour. Toujours aussi blasphématoire, ils vont encore se faire des amis. Polish extreme metallers BEHEMOTH will release their new album, "I Loved You At Your Darkest", on October 5 via Nuclear Blast. While it certainly seems an unlikely title for a black metal band, its origin might surprise fans even more than the words themselves. "It's a verse from the Bible," frontman Nergal reveals. "It's actually a quote from Jesus Christ himself. For BEHEMOTH to use it as the basis of our record, it's sacrilege to the extreme." As a foretaste for what to expect on the new album, BEHEMOTH has released a video for the first single, "God = Dog", that can be viewed below. The clip was directed by BEHEMOTH's longtime visual collaborators Grupa 13. Of course, BEHEMOTH is no stranger to blasphemy. Over the course of the last 27 years, they've pushed the boundaries of black metal and heresy alike. While anti-Christian sentiment might seem like stale bread where most metal bands are concerned, for BEHEMOTH such ideas represent a very real threat to their physical freedom. Time and again, the government of their native Poland has charged them with various "crimes" such as tearing up a bible onstage in 2007 and using the Polish coat of arms on a BEHEMOTH t-shirt in 2017. "Obviously, stuff like that can piss you off. But I think it's good to be pissed off," Nergal says with a laugh. "Anger can be a massive driving force, especially when you make extreme music. But politically and socially, Poland is a very disparate country. You can never feel totally safe here. That makes it easier for me to get inspiration. If I lived in Holland or Australia, I don't think I'd be doing what I do now. You can do or be anything you want there. I'm a huge fan of that kind of freedom, but I don't really have it here. Struggling with that on a daily basis makes me who I am, and fuels my passion for this music." Nergal and his bandmates — Orion (bass) and Inferno (drums) — have channeled that passion into "I Loved You At Your Darkest". A crushing salvo of black metal majesty replete with hellish riffs, thundering drum cannonades and soaring liturgical choirs reminiscent of classic horror cinema, the album is also bejeweled with nimble-fingered rock guitar solos on songs like "God = Dog", "Ecclesia Diabolica Catholica" and "Sabbath Mater". "I really wanted to redefine ourselves with this record," Nergal explains. "'I Loved You At Your Darkest' is a more dynamic record. It's extreme and radical on one hand, but it's also more rock-oriented than any other BEHEMOTH record." Nergal doesn't view the heightened rock influence as a conscious creative decision so much as a renewed interest in the historical origins of the music he makes. "We don't give consideration to musical direction, we simply create what naturally comes to us," he says. "But 15 years ago, if you had asked me who I thought was the best band on the planet, I probably would have said MAYHEM or MORBID ANGEL. Today if you asked me, I'd say AC/DC. That should give you a clear indication of why this album is more rock-based. It all comes down to the songwriting." 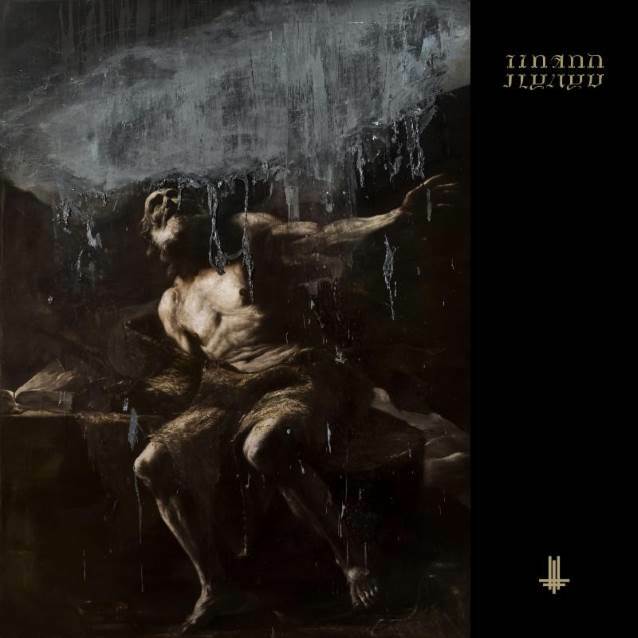 Lyrically, "I Loved You At Your Darkest" revels in the kind of religious provocation that BEHEMOTH do best. "It's very religion-driven, maybe more than anything we've done before," Nergal offers. "But it's not just cheap goading. I believe this is some deeper metal language. It's art." Unlike "The Satanist", which was primarily recorded in one studio, "I Loved You At Your Darkest" saw its production spread across Poland and the United States. It was produced by the bandmembers themselves, with drum co-production by Daniel Bergstrand (MESHUGGAH, IN FLAMES), mixing by Matt Hyde (SLAYER, CHILDREN OF BODOM) and mastering by Tom Baker (NINE INCH NAILS, MARILYN MANSON). Which is to say nothing of the 17-piece Polish orchestra arranged by Jan Stoklosa and engineered by Tomasz Budkiewicz. Or as Nergal sums it up: "Pretty much every instrument was recorded in a different studio, and a lot of amazing people were involved." L'extrait me plait encore assez bien. Nergal: "Well, in the first place, we have other so-called obvious single choices that were more, I'd say, approachable or easygoing. But unlike other records, or other artists, we [were], like, 'No. Let's bring something really radical and extreme.' Because we are this band in the first place — it's crazy, it's blast beats, it's multi-layered, it's ups and downs, it's valleys and mountains — and it's all within one song, and it's very dynamic, and that's what BEHEMOTH is in the first place. The album itself is even more adventurous than the song, so I just thought that it's a beautiful statement right in the first place, and then we'll follow it [with other tracks] eventually. I think it really intrigued people. I mean, it seems like, judging by the reaction, [it got] massive feedback. It did the trick, it did really well, people love the song. Most of the people I meet, [they are], like, 'Wow!' They love the song, they love the imagery around it. So wait for other cuts to be revealed, because there's more insanity behind it." Nergal: "I stole that idea from Ryan Gosling — I don't know if you know that actor. Not only is he a great actor, he's also a great musician. He's got his own band. I believe he's got one record under his belt. It's him, it's very folky, it's very like [Nergal's side project] ME AND THAT MAN, and he's got all these kids choirs. That's how I got inspired to use kids choir in ME AND THAT MAN. But then I thought, 'Okay, ME AND THAT MAN, it came out really cool. I like it. But how about…?' 'Cause, to me, kids and their voices, it represents all the innocence of human nature, because kids are innocent, kids are clean. And just combining this with the whole ideaology behind the song and combining kids choirs, incorporating it in such an extreme and crazy song, I thought, 'Okay…' That's what I love in art the most — a lot of dynamics." Nergal: "It's very complex, but let's put it this way. This is the eleventh BEHEMOTH album, and due to the fact that Christianity is… One of the biggest dogmas is Ten Commandments. In Christian symbolism and numerology, the number 11 stands for something transgressive and very sacrilegious and very blaspehemous, because it's 11. Because there's 10 commandments, 10 is a number that is completed. So 11 means that it's something that just imbalances the perfection of Christianity. So I [went], 'Okay, if it's our eleventh album, I should go to the source of all evil in the world' — I'm talking about the Bible itself — steal one of its quotes and just turn it upside down and twist it around… I really wanted to have a different title and not repeating the formula that we've repeated for so many albums, that would just end up with very strong one-word statements, like 'The Satanist', 'Evangelion', 'Demigod' and so on. So I just thought it would be good to use the full verse, full sentence. Yeah, I think it's cool." Pour l'instant les extraits proposes paraissent être dans la lignee de The Satanist, donc bien moins death metal qu'avant avec les influences black et melodiques encore plus prononces. C'est pas necessairement pour me deplaire. Je trouve que The Satanist est un de leurs meilleurs albums. Cela dit, le deuxieme extrait me paraît un peu plat et j'ai bien peur que la forme ait pris le devant sur le fond. On verra bien dans le contexte de l'album. Modifié en dernier par mike-polar le 11 sept. 2018, 13:27, modifié 1 fois. Superbe album , encore moins death metal voir plus du tout par moment . Vraiment un plaisir ce cd mais qui va clairement faire des mécontents mais une évolution dans un univers ou c'est si souvent figé dans un style. Apres avoir plus ou moins digere l'album, je le trouve plutôt bon au final même si clairement un cran en dessous de The Satanist. Globalement, il est beaucoup moins hargneux et c'est peut-être ca qui peut être derroutant a la premiere ecoute. Un album de Behemoth qui manque de violence ça fait bizarre mais ils ont mise sur l'atmosphere et la melodie et le pari est reussi de mon cote. Il y a beaucoup de passage tres catchy, des plan un peu "Bathoriens" par moment et même une influence hard rock et heavy assez prononcee mais on remarque surtout qu'il ne reste plus rien de leurs cote death metal. Alors que The Satanist est pour moi le crescendo logique de leur discographie post 2000, la j'ai plutôt l'impression d'ecouter un album de "transition". Vers quoi? Je ne sais pas mais je suis déjà impatient d'entendre la suite. même si j'ai peur qu'ils ne" Ghostifient", ca reste impressionant qu'un groupe d'extreme arrive a susciter un tel intérêt apres plus de 25 ans de carriere.